Item #35291 Qajar (Iranian Dynasty), Fath’Ali Shah (AH 1212-1250), scarce silver Riyal, Shiraz Mint, AH 1312 (AD1798) EARLY AFFORDABLE TYPE!! In Farsi reads: �sekkeh Fath'Ali Shah, al-Sultan" with clear date at the bottom. Mint name inside a circle in the center. 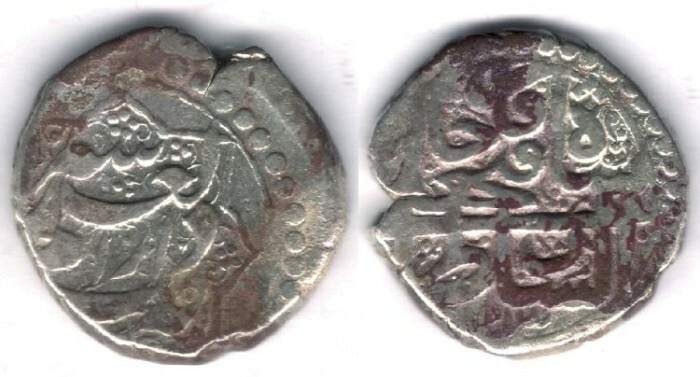 This is an early type of silver coins from the second king of Qajar, it is known as type A and was minted from 1213-1218AH. this is the very first year this type minted.